Zelda Williams, the daughter of the late comic actor Robin Williams, who died this week by suicide, is deleting her Twitter and Instagram accounts, maybe forever, because of trolls who insisted on using those media to send her photos of a corpse from a Spanish morgue taken in 2012 and insisting it was her father. Valley League playoff scoreboard for Aug. 1, plus updated schedules. Valley League playoff scoreboard from a busy series of first-round Game 3s, plus the schedule for Friday’s Game 1s in the VBL semifinals. Valley League playoff scoreboard for July 29, with a look at the schedule for Game 2 in the four first round playoff series. Valley League scoreboard for July 27, plus updated league standings and upcoming VBL schedule. Valley League scoreboard for July 26, plus updated league standings and upcoming VBL schedule. Valley League scoreboard for July 25, plus updated league standings and upcoming VBL schedule. Valley League scoreboard for July 23, plus updated league standings and upcoming VBL schedule. Valley League scoreboard for July 22, plus updated league standings and upcoming VBL schedule. Valley League scoreboard for July 21, plus updated league standings and an updated VBL schedule. Valley League scoreboard for July 20, plus updated league standings and upcoming VBL schedule. Valley League scoreboard for July 19, with updated league standings and upcoming VBL schedules. Valley League scoreboard for July 18, plus updated league standings and upcoming VBL schedule. Valley League scoreboard for July 17, plus updated league standings and upcoming VBL schedule. Valley League scoreboard for July 16, plus updated league standings and upcoming VBL schedule. Valley League scoreboard for July 15, plus updated league standings and upcoming VBL schedule. Valley League scoreboard from July 15, plus updated league standings and upcoming VBL schedule. Valley League scoreboard for July 13, plus updated league standings and upcoming VBL schedule. Valley League scoreboard for July 12, plus updated league standings and upcoming VBL schedule. Valley League scoreboard for July 11, plus updated league standings and upcoming VBL schedule. Valley League scoreboard for July 10, plus updated league standings and upcoming VBL schedule. Valley League scoreboard for July 9, plus updated league standings and upcoming VBL schedule. Valley League scoreboard for July 7, with updated league standings and upcoming VBL schedule. Valley League scoreboard for July 5, plus updated league standings and upcoming VBL schedule. Valley League scoreboard for June 29, plus updated league standings and upcoming VBL schedule. Valley League scoreboard for June 28, plus updated league standings and upcoming VBL schedule. 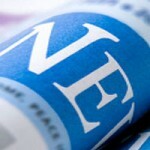 Valley League scoreboard for June 27, plus updated league standings and upcoming VBL schedule. Valley League scoreboard from June 26, plus updated league standings and upcoming VBL schedule. Valley League scoreboard for June 25, plus updated league standings and upcoming VBL schedule. Valley League scoreboard for June 24, plus updated league standings and upcoming VBL schedule. Valley League scoreboard for June 23, plus updated league standings and upcoming VBL schedule. Valley League scoreboard from June 22, plus updated league standings and upcoming VBL schedule. Valley League scoreboard from June 21, plus updated league standings and upcoming VBL schedule. The Valley League scoreboard from June 20, plus updated league standings and the upcoming VBL schedule. Valley League scoreboard from June 19, plus updated league standings and upcoming VBL schedule. Valley League scoreboard from June 18, plus updated league standings and upcoming VBL schedule. Valley League scoreboard from June 17, plus updated league standings and upcoming VBL schedule. 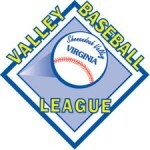 Valley League scoreboard from June 16, plus updated league standings and upcoming VBL schedule. Valley League scoreboard for June 15, plus updated league standings and the upcoming VBL schedule. Valley League scoreboard for June 14, plus updated league standings and the upcoming VBL schedule. Valley League scoreboard from action on June 13, plus updated league standings and the upcoming VBL schedule. Rain continues to wreak havoc on the Valley League scoreboard. Here is the latest look at scores, standings and the upcoming VBL schedule.